The stock hit a new high of Rs 1,135, up 3% on the BSE in intra-day trade on Friday in otherwise weak market, surpassing its previous high of Rs 1,128 recorded on Wednesday. 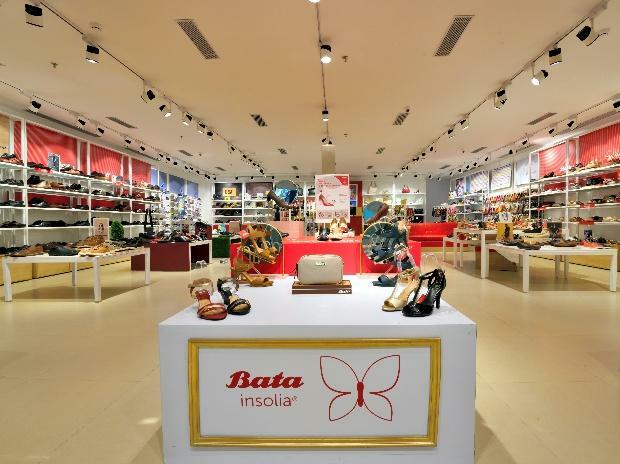 Shares of Bata India hit a new high of Rs 1,135, up 3% on the BSE in intra-day trade on Friday in otherwise weak market, surpassing its previous high of Rs 1,128 recorded on Wednesday. Thus far in calendar year 2018, the stock of footwear outperformed the market by surging 52% from Rs 747 level, as compared to 5% rise in the S&P BSE Sensex. Foreign portfolio investors (FPIs) have increased their stake in Bata India during past two consecutive quarters. FPIs holding in the company rose to 8.78% in September quarter from 6.93% at the end of June quarter. They hold 6.19% stake in footwear firm at the end of March quarter. For H1FY19 (April-October), Bata registered revenue growth of 11% year-on-year (YoY) to Rs 14.70 billion with EBITDA margin improving 280 bps YoY to 14.9%. Net profit grew 34% at Rs 1.38 billion on YoY basis. Brokerage firms are bullish on the Bata India with ‘buy’ rating on the stock and 12-month target price in the range of Rs 1,160 and Rs 1,197. “Controlled operational cost structure such as consolidation of suppliers, building long term agreement with suppliers and re-negotiating rental terms are further expected to contribute to EBITDA margin expansion,” according to analysts at ICICI Securities. “Going forward, we expect revenue growth to revive on account of an improved product mix and the company following the dual strategy of driving SSSG and opening new stores in untapped locations via franchisee rout. Bata has a robust balance sheet having virtually debt free status, healthy return ratios (RoCE: 20%+) and negative working capital cycle,” the brokerage firm said in result update. “Bata has subsequently increased new offerings and investments in branding. Premiumisation and youth connect is expected to enhance footfalls across the retail network and spur overall revenue growth,” Karvy Stock Broking said in a company update. At 03:18 pm; Bata India was trading 0.5% higher at Rs 1,111 on the BSE, as compared to 2% decline in the S&P BSE Sensex. A combined 1.71 million equity shares changed hands on the counter on the BSE and NSE.